Growing peppers or eating peppers: which do I enjoy most? I'm not sure. I like everything about peppers. Planting peppers is fun and a sign that frosts are past (at least I always hope so). What a joy to pick those big peppers which fill the bucket so quickly. And eating them, well... . There are so many ways to use peppers. I like the hot ones too. Peppers should be started in a greenhouse or sunny window in mid to late March and set out in mid to late May, after danger of frost is past. If buying plants, you should be able to choose from a large variety at your local farmers' market. 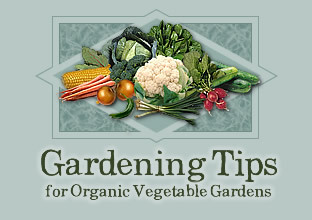 You can get ideas from other gardeners on what varieties to plant. Looking through seed catalogs will show you the broad range of pepper types and colors to choose from. You may want to experiment beyond the standard bell types. There are many types of sweet peppers. And don't forget the hot ones. You can choose anything from mild to super hot varieties. The soil should be well worked before planting and have compost added. Be careful to not add too much nitrogen, which can result in big plants and no peppers. Peppers are not heavy feeders. Plant them 16 to 24 inches apart. Mulching after the soil has become warm will keep down weeds and help hold moisture in the soil. Pests and diseases are usually not much of a problem with peppers. Peppers can be harvested anytime after they become firm. I prefer to let them get ripe, that is after they change color, as from green to red. A green pepper is not ripe. A ripe pepper is much sweeter and has lots more vitamins, especially Vitamins A and C.
You should be able to pick peppers from the beginning of July until frost. If the plants are covered during cold nights the season can be extended to November. In addition to eating lots of peppers and sharing them with others during the season, They can be frozen or pickled for use during the winter. Yum! Pass the peppers, please.